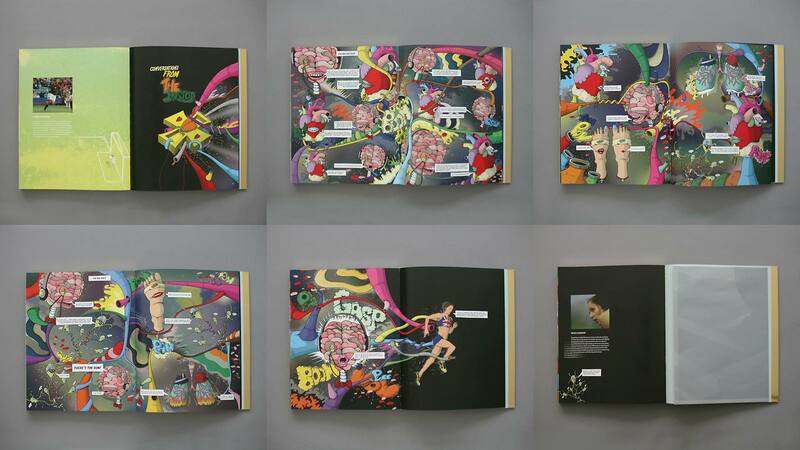 Nike made a limited edition book (1,500 copies in total) about female athletes that they sponsor. We were commissioned to work on a section for the British athlete Nicola Sanders (hurdles and sprint). 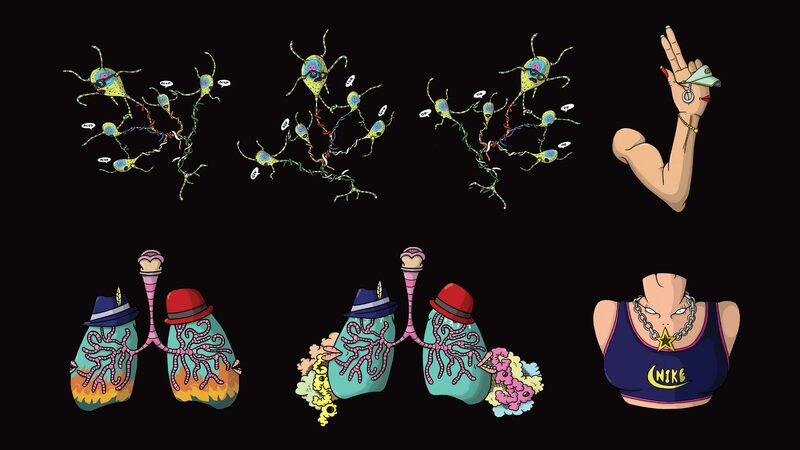 The concept was that inside her body, all the different organs have to communicate and work together to achieve the goal. 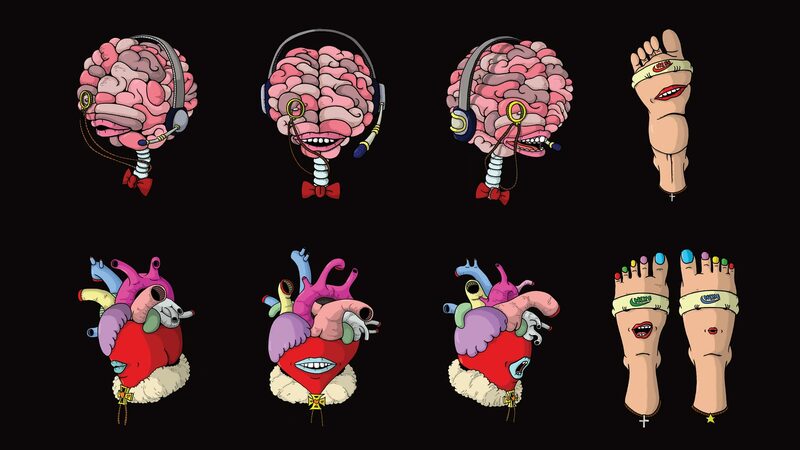 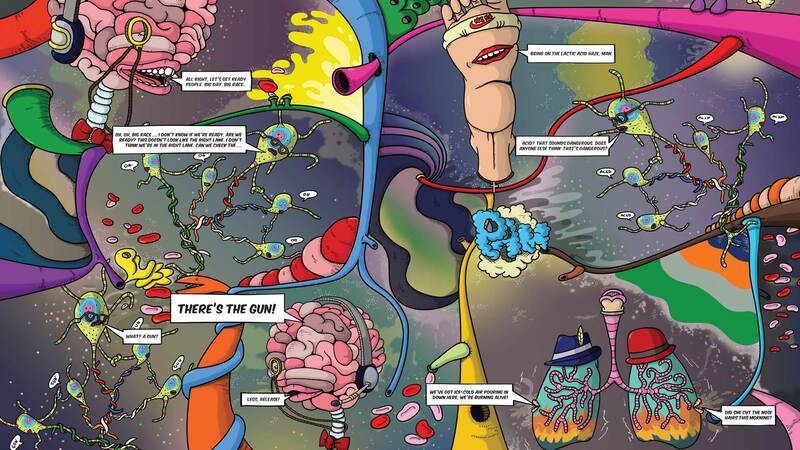 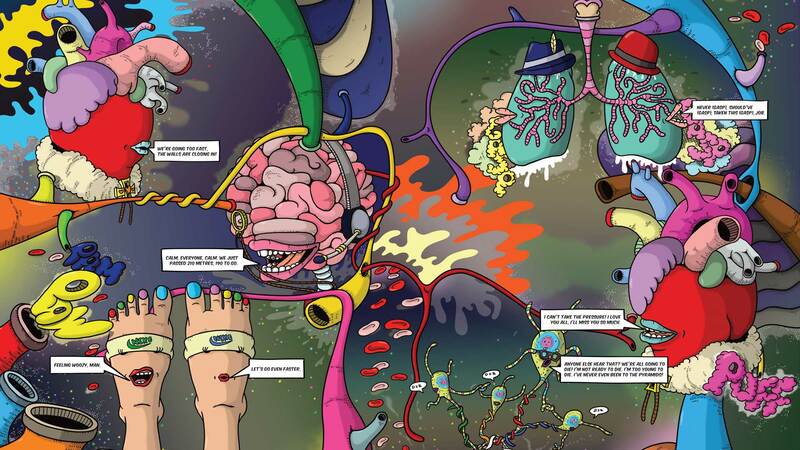 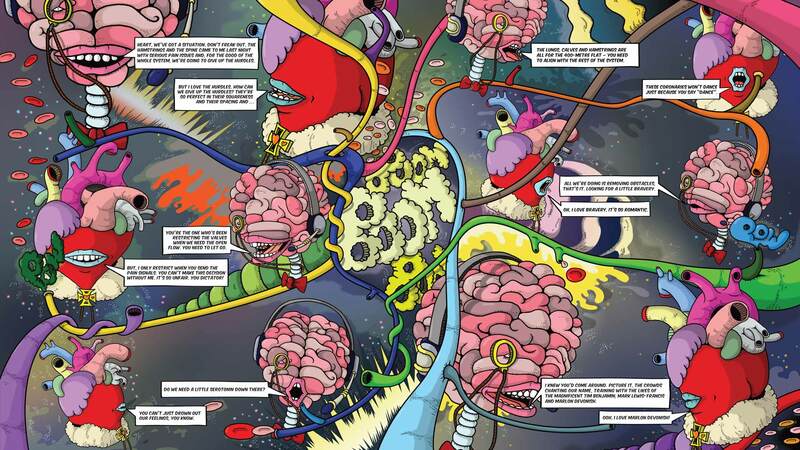 We developed characters for the brain, lungs, heart, nerves, legs and hands, which were illustrated in a comicbook style.